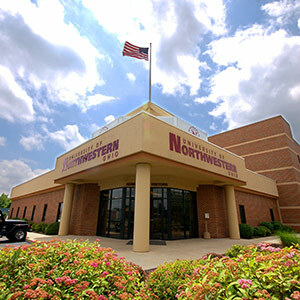 University of Northwestern Ohio’s online Master of Business Administration (MBA) is offered through our Graduate College. With UNOH, you can earn an affordable, convenient, 100% online MBA on a unique and flexible schedule – and in as little as 18 months. Full-time MBA students take two courses per quarter. The next start date is July 8, 2019. There are 4 opportunities to begin the program each year. For our annual academic calendar and application deadline information, please contact an Enrollment Representative at mbadegree@unoh.edu. *Baccalaureate degrees from an institution with national accreditation will be entered after two quarters of attendance at the University. At that time, students must be in good standing (3.0 cumulative GPA). If the student does not have a 3.0 cumulative GPA after the second quarter they will be dismissed. Official transcripts may also be submitted electronically to advisor@unoh.edu. UNOH accepts international students to the online MBA program. If you are an international student, please click here for full details. UNOH also accepts a maximum of eight (8) transferred quarter hours from a program at another regionally accredited institution. In order to receive transfer credit for transfer courses, students must have earned a B or better in graduate courses. Accreditation: UNOH is accredited by the Accreditation Council for Business Schools and Programs (acbsp.org), and regionally accredited by the Higher Learning Commission. UNOH is authorized to offer online MBA programs by the Ohio State Board of Regents.